Enology Consulting. 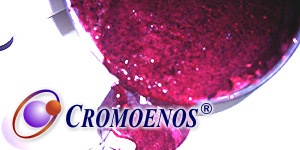 Unique wines creation - Consultoría asesoría en enología Bioenos S.L. You are: Bioenos › Enology consulting Bioenos, S.L. Bioenos, S.L. is a consulting and advising company in Enology, with its own research capability to develop any projects requiring so, such as those aiming to create unique wines from autochthonous varieties, as well as to develop analytical methods to forecast the color of wine from the grapes and/or systems to prevent fermentation stops, etc. We believe in wine as a work of art, that generates emotions, excites, and surprises. We believe in wine as a work of art, that generates emotions, excites and surprises. We believe in our grapes and in the soils of Spain, with all their virtues and defects. Our responsibility, as external advisors and collaborators in R+D, is to know and develop some systems and processes that remove or reduce the defects and enhance the own and unique characteristics provided by our varieties, all of them grown in our soils. Besides the enological management of wine cellars, it is always exciting to try to recover some varieties and soils that are special for us, as they may contribute and/or generate a distinguishing value, as well as an economic value for our customers, and give a solution for a new area. Therefore, we are very proud of our contribution to recover the following varieties since 1982: Tinta de Toro, Malvasía de Toro, Crespiello or Vivadillo of Almonacid in Cariñena, Bobal (for red wines) and Albillo in La Manchuela, and Parraleta in the Somontano. In the nineties, when fermentation stops were not uncommon, we contribute, with our studies, to lessen the worries of our colleagues, who had to face this kind of mishaps. In 1998, upon request from our customers, we started a now completed project to evaluate red grapes according to their Probable Color. We have patented the method and it is already implemented in several wine cellars in Spain. and phenolic ripening of grapes>. Web Design: DiCom Medios, S.L.